We "Get it." You're a professional in your field, one of the best at what you do and while you like your job, you love your bike and want to get as much as possible out of the time you do have to ride. You don't want to have to worry about whether you're getting enough training stress, training the right energy systems, or worrying about whether that ache is normal, or if you should be trying to carve out a consult with a physical therapist. You want to get on your bike and ride. To have your workouts engage you, push you, and know that they're getting you to where you need to hit your goals. Lose the extra "x pounds"
"Have the fitness to teach my kid how to ride better"
"My big, cosmic 'F. U.' to the people from high school"
"Boost my energy for the courtroom/O.R." "Help me maintain my energy levels when I am teaching"
But we're not for everybody. If you're looking for a coach whose only focus is the bike- What wheels to buy, what tires will make you the fastest, what frame to buy, etc. We're NOT for you. 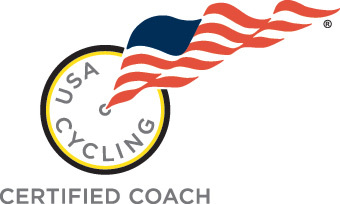 If you're looking for a coach who sees "The bigger picture" and understands the work/family/bike and fitness balancing act, and who will help you keep things in good order; A coach who can give you a strength training program and nutritional coaching to ensure that you're looking and feeling amazing on AND off the bike, now and 30 years from now, then you're in the right place! Our personal coaching programs are built just for you, the level of commitment you want or need, and the amount of contact that you do or don't want. We're not some "cookie cutter" coaching firm. We don't have templates or "go-to" schedules. A Philosophy that riding your bike is a part of who you are, and should be balanced with the rest of your life. If this sounds like what you've been looking for, go ahead and check out our personalized training programs and select the right one for you. 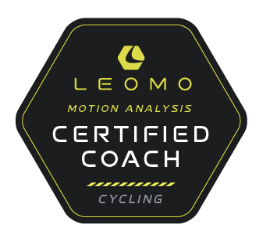 We're excited to help you on your lifelong cycling journey, and look forward to getting started! Our Personalized training plans allow for your training to be built around your schedule and needs, with varying amounts of contact and support from your coach. Want to talk 2x a month? Our Bronze Package is perfect! Want more support and contact for on-the-fly changes? Our Gold Package is what you're looking for! Need or want to maximize your results by combining the on-bike program with Nutrition or Strength...or both? Contact us, and we'll work out a specialized package just for you! Being an endurance athlete does not mean that you shouldn't be able to pick up heavy things.... in fact, especially for those over the age of 35, we MUST pick up heavy things in order to maintain our lean muscle mass. Our Strength Training Programs have bene cultivated over the last decade of working with endurance athletes, helping to make you strong as a Mack truck, without bulking up. The best part? Your on-bike results will get a boost, and you'll feel better off the bike! Finding a manageable nutrition plan that works WITH you, as opposed to against you can be very tough. "Wine with dinner? I'm not supposed to have that." Shouldn't be a phrase you have to say regularly. Our Nutrition Coaching doesn't offer strict meal plans, but rather a lifestyle approach which allows you to learn to live your life, and eat most effectively to meet your demands and goals!